We know that sometimes you need a wonderful (and clutter-free!) gift for your favourite hard- to-buy-for person. 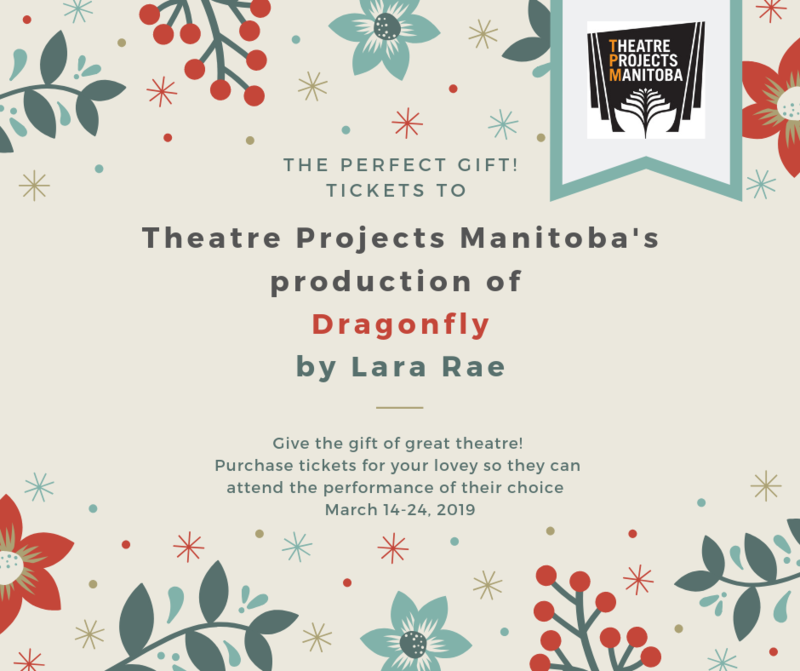 We think we can help you out: Tickets to Dragonfly, playing March 14-24, 2019! Buy a ticket (or several) to see Dragonfly by Lara Rae – a raw and heartfelt story of a half century long (and counting) gender odyssey. Not sure which performance they will be attending? No problem! We don’t expect you to be Kreskin and we won’t charge a fee if they need to shift to a different performance date. Just have them call or email us and we’ll make it work in their calendar! One size fits all, nut and gluten free, and fast! – can’t go wrong! Plus, giving the gift of great theatre AND supporting your local non-profit theatre makes you look like a star – win-win! Call us – 204-989-2400 – if you need assistance! Sometimes online purchases prove tricky, and we can also process your request over the phone. Happy Holidays!